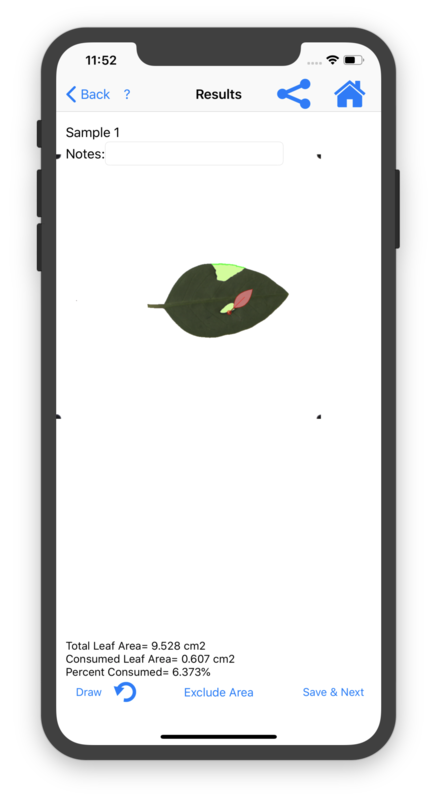 LeafByte is a free and open source mobile app for measuring herbivory quickly and accurately. 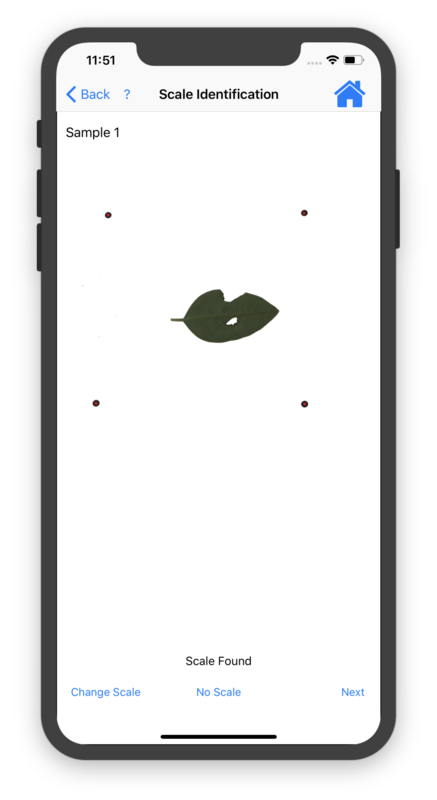 LeafByte automatically removes background and shadow, leaving just the scale and leaf. LeafByte automatically identifies the scale, in order to measure absolute sizes and correct for camera angle. 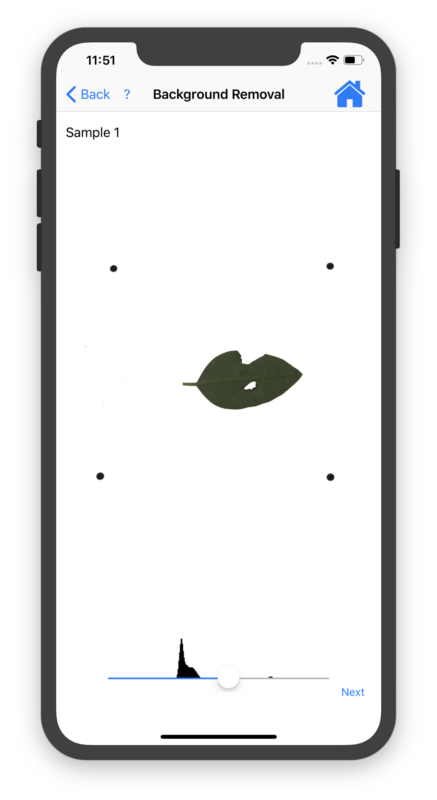 LeafByte automatically finds holes in the leaf, measuring areas and adding them to your spreadsheet. If the leaf margins have been eaten, you can draw them in.